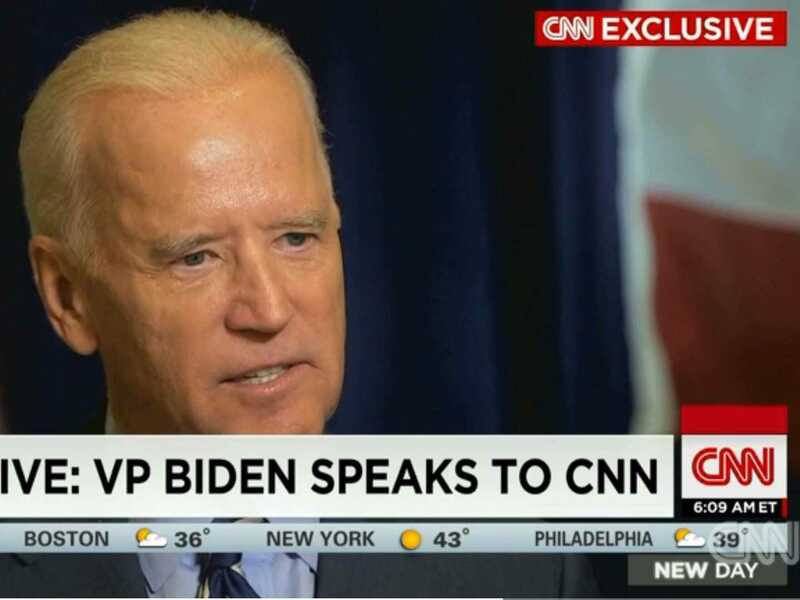 CNNVice President Joe Biden on CNN. Vice President Joe Biden appeared to accidentally deviate from the White House’s official line on Russia’s annexation of territory in Ukraine by actually calling it an invasion during a Monday morning interview on CNN. Speaking on CNN, Biden listed overseas crises like the Ebola virus that he claimed the US government had dealt with successfully. Biden said this proved the US public “should not be as anxious as they are” about the world right now. “We’ve put it under control,” Biden assured. President Barack Obama’s administration initially awkwardly and repeatedly refused to use the word “invasion” — preferring to instead to deploy terms like “incursion” to describe Russian troops crossing the Ukrainian border last summer in support of Moscow-backed separatists. According to some foreign policy experts, the terminology debate can be important because certain loaded words could demand direct US action when the White House would prefer a more cautious approach. View Biden’s comments on CNN below.